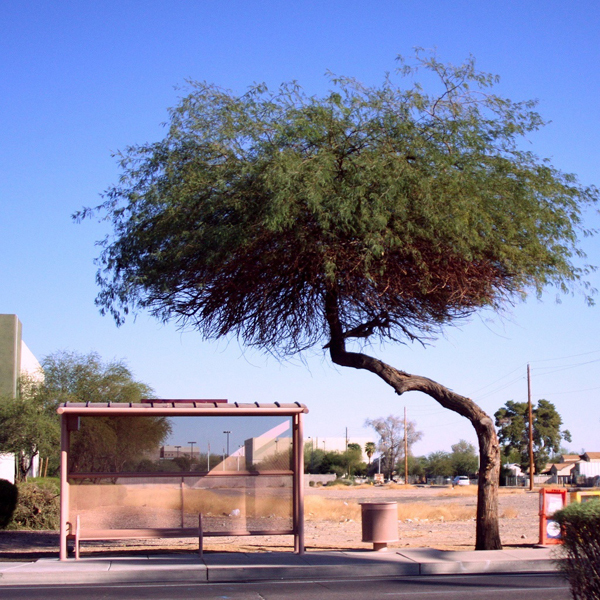 Sometimes trees just know what to do, perhaps the reason that Kevin titled this photo “Zen bus stop.” As for the locale, go ahead and take a guess. I was many thousands of miles off the mark. The correct answer is after the jump. The photo was taken in Phoenix. I guessed Australia.